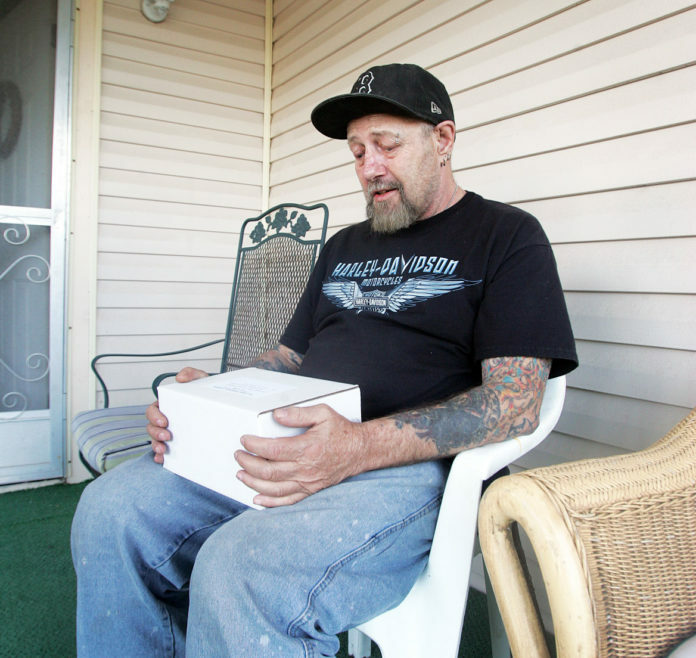 Two years to the date after Mission police fatally shot his mentally ill son, a father filed a wrongful death lawsuit in federal court against the city of Mission and three of its police officers. David Green, a Michigan resident who used to spend his winters in the Rio Grande Valley, argues that officers failed to use de-escalation tactics after he called police Feb. 22, 2016, seeking help for his 38-year-old son, David Green II, and that their use of excessive force led to his son’s death. “Mr. Green calmly explained to the dispatcher that his son was mentally ill and diagnosed with schizophrenia, but was off his medication and making physical threats … and was at that point in the midst of a mental health crisis,” the lawsuit states. The dispatcher, however, did not report Green II’s mental illness or past treatment and did not dispatch medical personnel or mental health crisis specialists to the scene, according to the lawsuit, and instead, officers Jorge Cabrera, Javier Lara and Sean De La Rosa were sent to the Mission mobile home park where the Greens lived. The lawsuit alleges that Cabrera, who was first to the scene, “immediately drew his weapon” upon seeing Green II with a machete in hand. Green II subsequently got into his father’s pickup truck and tried to drive away — at which point Cabrera “positioned himself in front of the vehicle … (and) stepped back as the vehicle passed by and fell sideways …” Green II ultimately struck a tree in the mobile home park, at which point Lara fired four rounds into the truck, striking Green II in the neck. After Green’s death, Mission Police Chief Robert Dominguez told The Monitor the officers were acting with the safety of the mobile home park residents in mind. “(Green II) tried to run an officer over,” Dominguez had said at the time, according to the newspaper’s archives. The three officers remain employed with the department, said police spokesman Lt. Jody Tittle. “No disciplinary action was taken. They were cleared by a grand jury,” Tittle wrote in an email in reference to the lack of charges filed against the officers in the wake of Green’s death. Dominguez said Friday he believes the officers responded properly following established protocol, and noted that the case was investigated independently by the Texas Rangers. “It’s unfortunate that situations like this do occur in the policing world and we regret that the incident occurred, but I believe our officers are sometimes placed in situations where they have to take that action,” Dominguez said. Yet the lawsuit argues that the city’s law enforcement training policies fail to train officers on limiting the use of excessive force; the proper use of non-lethal, self-defense measures; proper requests for a crisis intervention team officer; and proper knowledge and use of measures to de-escalate a situation involving a mentally unstable individual, among others. “The city had a long pattern and practice of handling mental health calls in the same manner … In fact, the city’s practices and customs allowed for and even directed an excessive use of force response to David’s circumstances,” the lawsuit states. Green’s attorney Omar Ochoa said that while his client appreciates that police officers have a difficult job, they don’t have the right to use excessive force. The case “presents issues that are important to our community and the country about how officers are trained to respond to a mental health incident,” Ochoa said. An initial pretrial hearing has been set for early May.